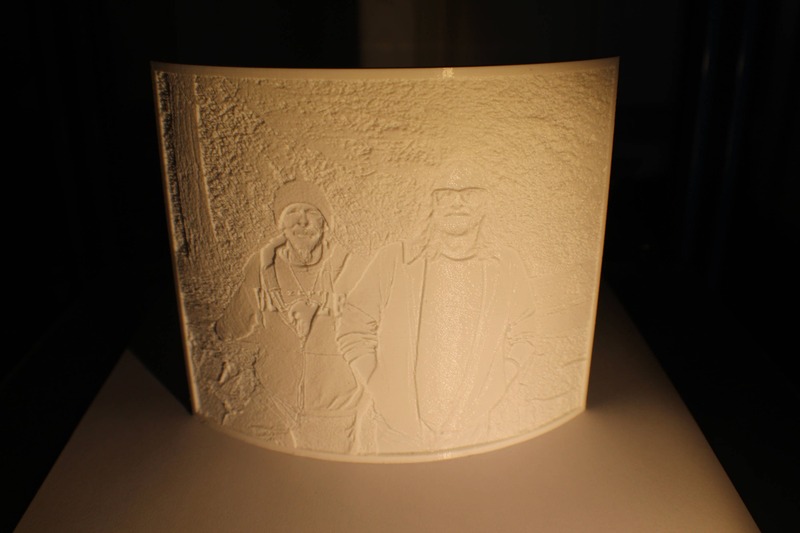 This is a 3D printed lithophane I made of one of my favorite pictures I like to call "dos pedos antiguos". It is curved so that it stands up on it's own and makes for an excellent display. 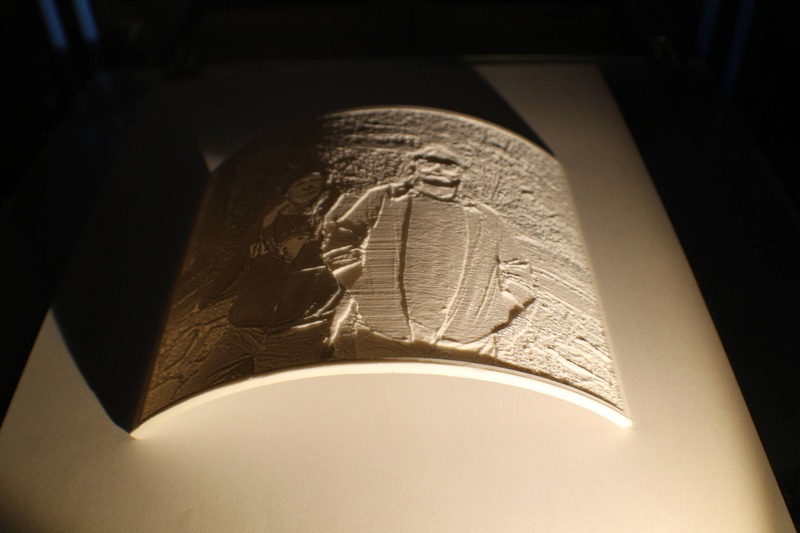 If you have friends, family, or patrons that cannot experience pictures through sight, this is a great way for them to interpret them through touch. 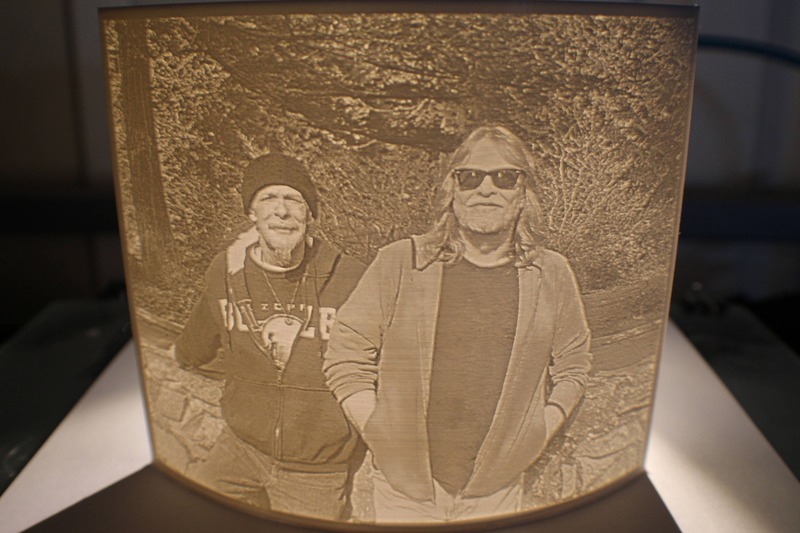 You give me a picture, and I send you a lithophane in the color and size of your choosing. For best results, make sure the picture is high contrast, and in focus. If a picture won't work out, I'll let you know. 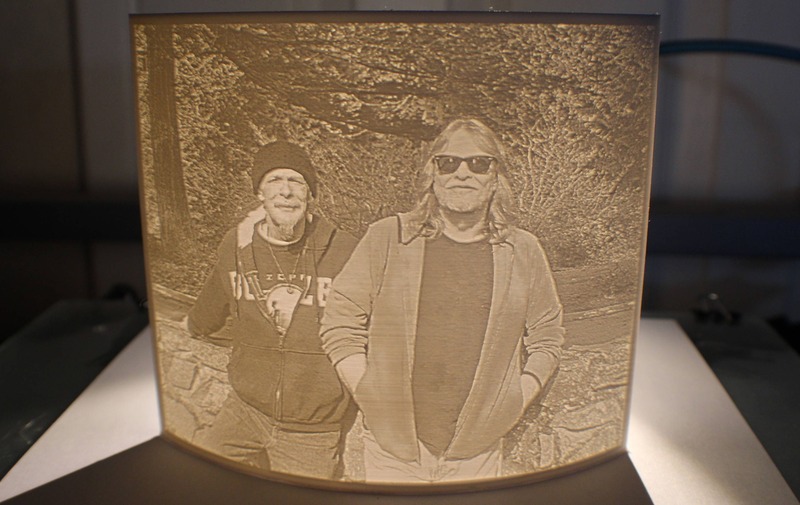 I can take any picture your provide and turn it into a free-standing lithophane perfect for display. 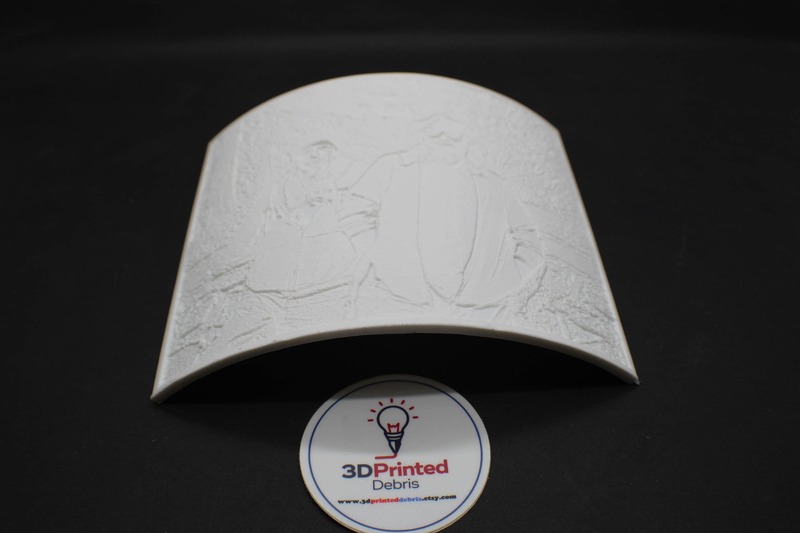 These make perfect gifts to mark anniversaries, weddings, birthdays, memorable occasions, scenes, or immortalize a loved one. The possibilities really are endless, and the results truly are amazing. I've spent the better part of a month creating a machine to make these, with tolerances tight enough it produces a near-perfect replica that reproduces the color shading with magnificent detail. 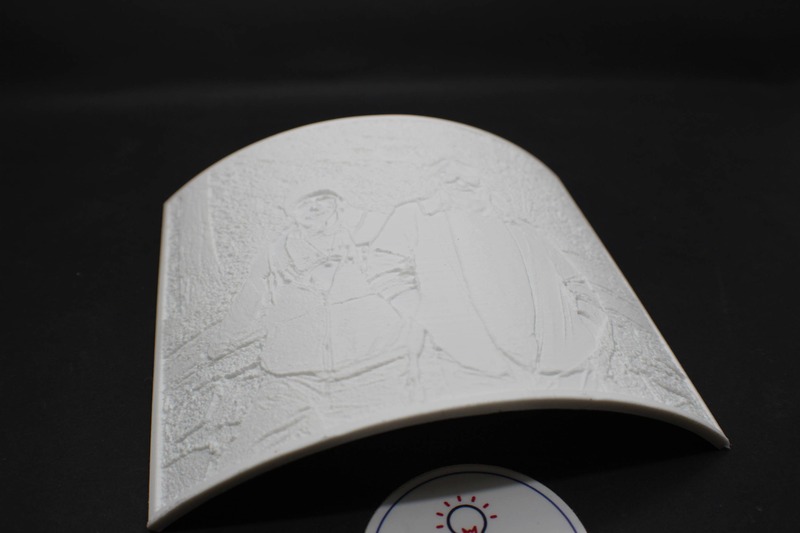 Just look at the sample picture! Small - 3" x 4"
Medium - 5" x 6"
Large - 6" x 7"
Note: Actual size will vary depending on the aspect ratio of the picture you send me. After you check out, send me the picture via convo or email to 3dprinteddebris [!at] gmail.com with your etsy ID in the title. These will light with as little as 3 watts of directed light. This makes for touch lights, candles, lamps, or even indirect sunlight from a curtain a good source to bring out the contours. This was absolutely lovely. What a nice keepsake. It was expertly done and hard to describe its allure.